I had the same issue and what worked for me in steam was to click "properties" on the factorio game, then "betas" and revert from what was "0.15.x" to "0.15.9" and it loaded properly. hope this helps. I´m waiting your update to 0.15.10 because i can't continue playing with my big factory map. 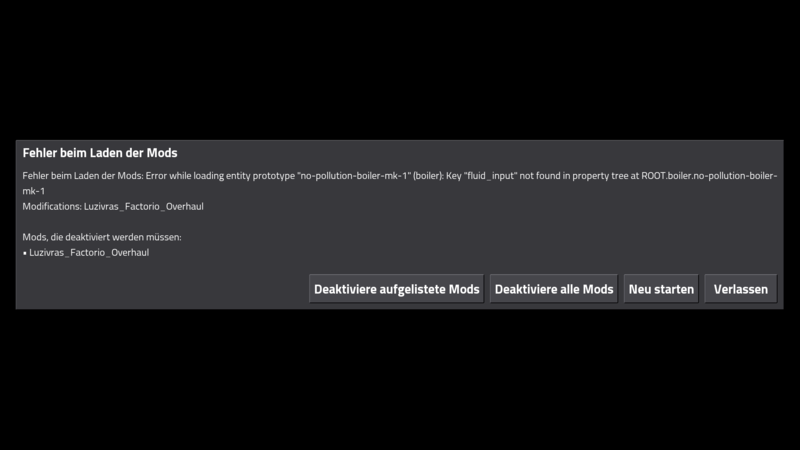 I can´t revert to 0.10.9 because other mods make use of the new use of steam. Thanks for making this awesome mod. hey sorry for the long waiting i just now got enaught time to fix the bugs: should work now again :D be sure to let me know then somethings still is bugged! And dont forget to let me ideas for more mod content. I agree with Sintrido, I stopped playing until the update for this was out. Definitely my favorite new mod. Thanks for the hard work. Thank you for your fast update. Now pump mk2 works!!! !